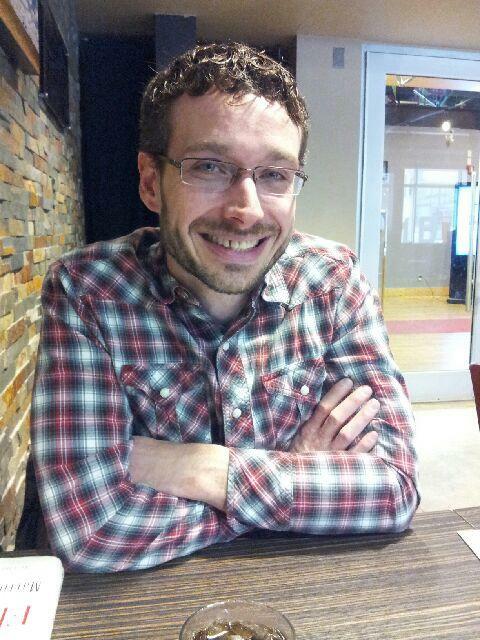 This guest-post was written by a member of our Yoga Teacher Training program, Jason Spencer. I work as a mediator with a local organization called Community Justice Initiatives (CJI). Our work is rooted in the principles of Restorative Justice (RJ), which looks at unique ways to repair the harm done to people and relationships by engaging the individual who caused the harm, the people affected by the harm, and the community. By creating a safe place for conversation to happen, meaning and understanding can occur between the people involved and the community to restore relationships and allow for healing. Recently, at the Waterloo Region Restorative Justice Circle, a collective of like minded individuals promoting RJ, we discussed how Waterloo Region is a hub of Restorative Justice. Rooted in strong aboriginal and Mennonite traditions, Restorative Justice principles are ingrained in much of the good work that is done throughout our Region, and elsewhere. There are local organizations we naturally look towards for leadership around Restorative Justice, CJI and Conrad Grebel as examples, but we wanted to cast a larger net and identify other organizations who approach their work and role in the community from a restorative perspective. 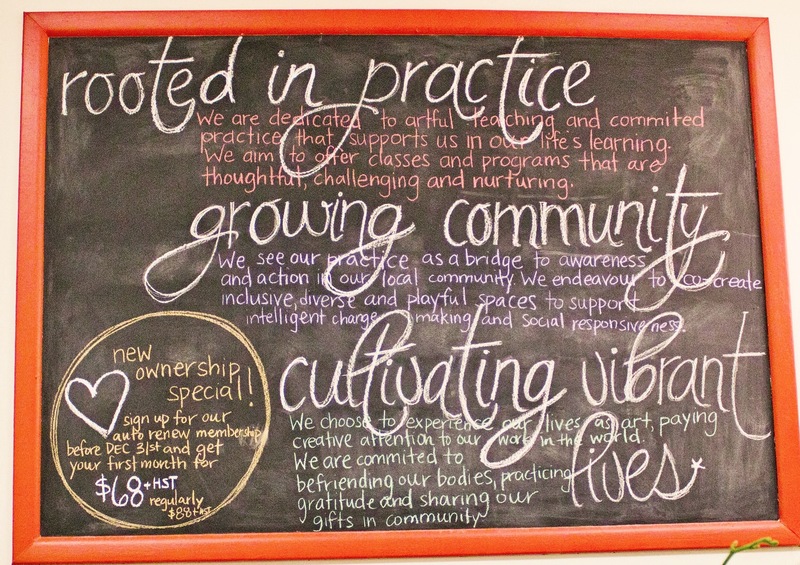 For me, Queen Street Yoga (QSY) exemplifies this restorative approach to community. Take a look at their vision statement. The three sections of QSY’s vision statement are Rooted in Practice, Growing Community, and Cultivating Vibrant Lives. Rooted in Practice. Restorative Justice is a practice. It is an ideal we excel towards, but as it is countercultural in a lot of ways, people are not familiar with it or see it as a first response to harm and conflict. Like Yoga, RJ needs to be practiced, it needs to be lived and experienced to deepen our understanding of ourselves and others. We cannot do RJ alone. In fact, RJ requires the invitation of others in order for it to be practiced successfully, it requires relationship and community. QSY’s dedication to creating an open, inclusive place to study and practice yoga is an example of RJ. The studio is embedded in the community and provides a place for community to learn and grow with each other, but also to be challenged by each other. A great example of this was Queen Street Conversations, which provided an opportunity for community to come together and discuss climate change and it’s impact on us from a personal perspective. Growing Community. RJ is about bringing people into right relationships with each other and their community. When harm is done, our current societal response is to label the wrongdoer and then to alienate them from their community. QSY is dedicated to breaking down these barriers and labels. It does this by creating a place where community can happen, whether through it’s body positive approach to yoga, creating a safe and inclusive space for all people to practice or acknowledging the land on which we practice on. The fact QSY is open to having these conversations is important to me. It creates a space for the quiet voices to be heard, for those who have been marginalized to find a place to speak. Cultivating Vibrant Lives. When successfully practiced, RJ changes lives. It opens us to new perspectives, it creates meaning and understanding and most importantly it heals harm. It is an active and vibrant practice which requires us to live an authentic life with ourselves and others. To share and receive the gifts each of us have and to move forward together as a community. QSY has created a community space where people are invited to be authentic and engage in meaningful activity in a shared space. In building relationships, we close the gaps between “us” and “them” and see that we are one community together with its shiny spots and its blemishes. 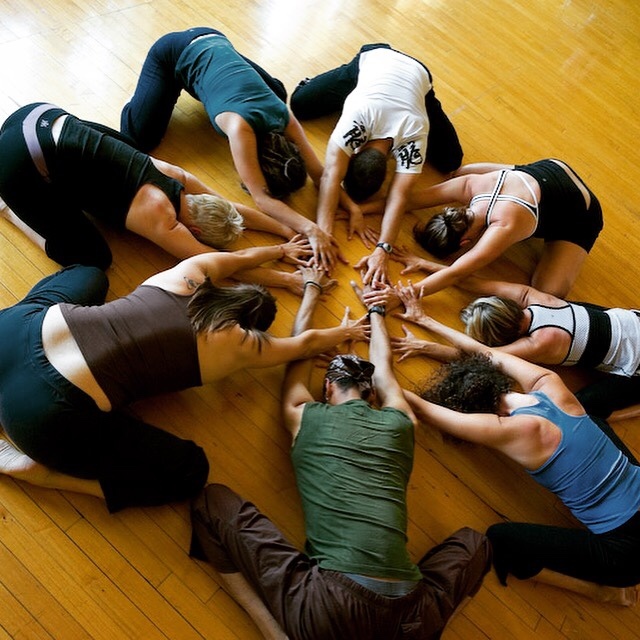 QSY is a vibrant community of Restorative Justice and Yoga practitioners. QSY’s vision statement is a commitment to what they want their community to look like and it clearly resonates with people. As a member of this community, I appreciate how both threads, RJ and Yoga, combine together to create a beautiful weave and in the context of this yoga community. They are naturally complementary. 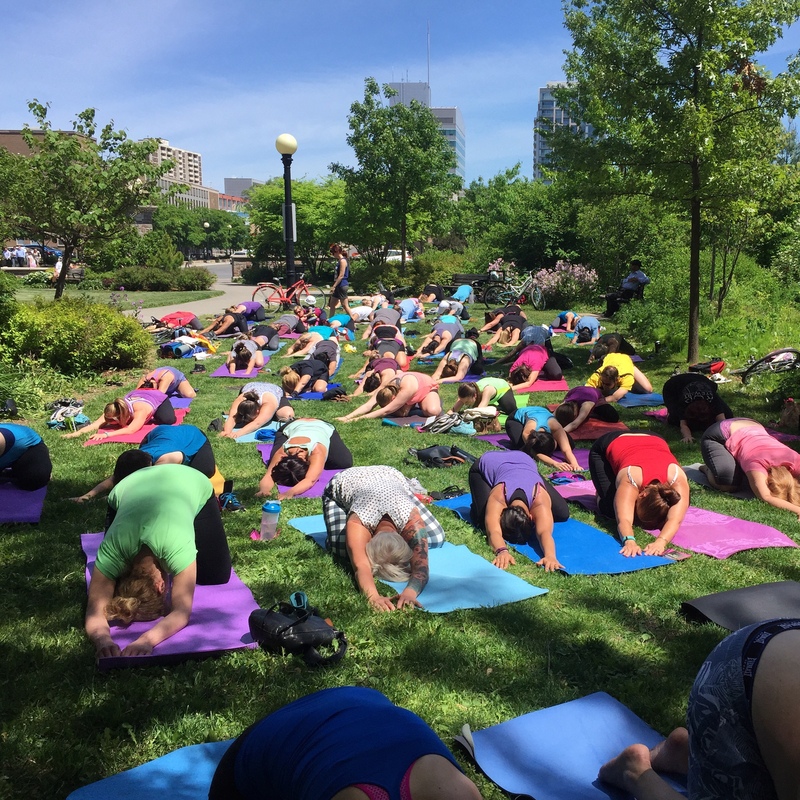 You can catch Jason Spencer, along with fellow Teacher Training grads, teaching the Sunday Yoga in the Park and Thursday Community Classes this summer!